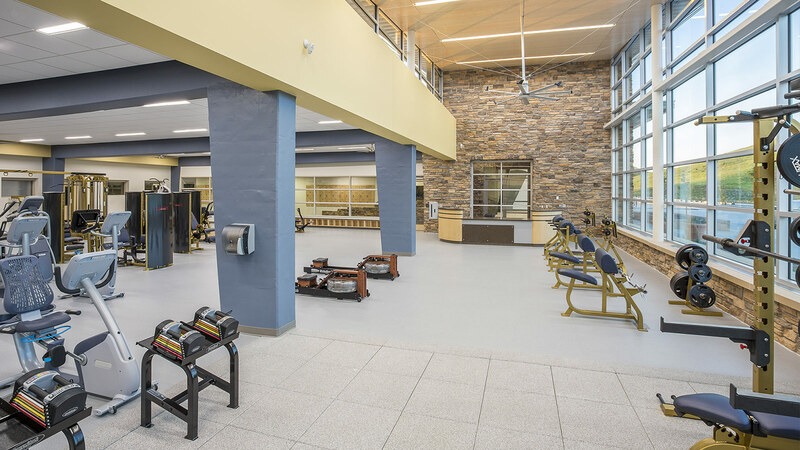 The student body at South Dakota School of Mines & Technology drove the initiative to create a larger, more accessible campus wellness and recreation center. 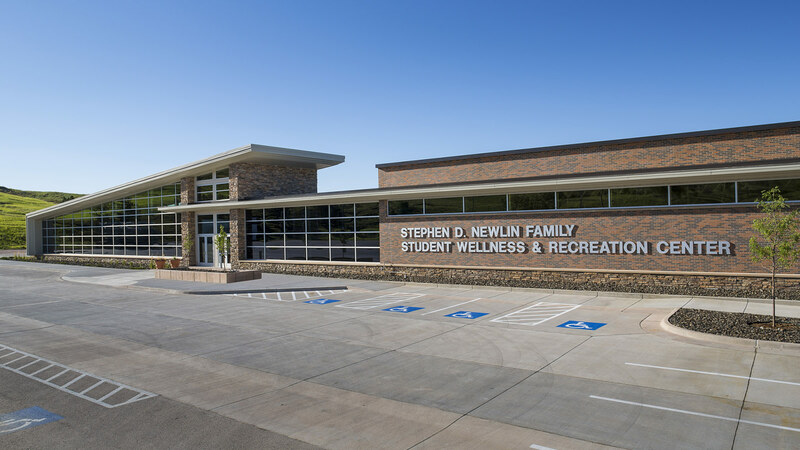 The project encompasses more than 37,000 sf of space, divided almost evenly between new construction and renovation of existing spaces—including a second-story build-out in a portion of the 1970s King Center, which was laid out on three levels to accommodate the hillside site’s topography. 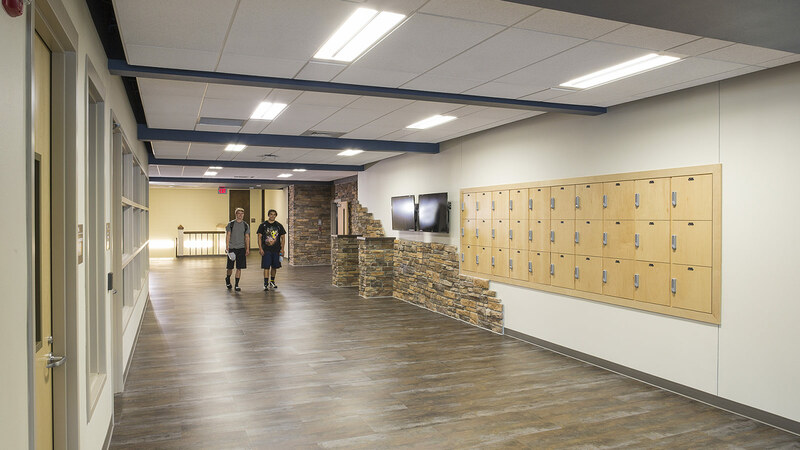 Stone, brick, and metal panels accent a new south entrance, tying the building to the SD Mines campus brand and engineering history. The entry opens to an informal gathering spot with casual lounge seating to encourage interaction. 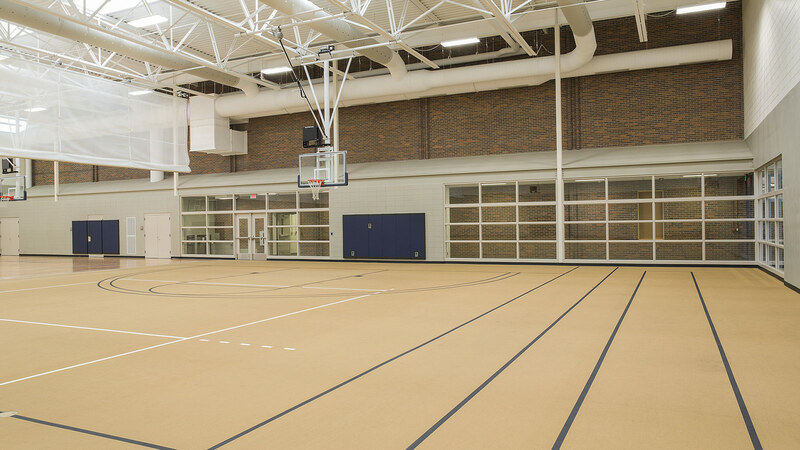 Stakeholders envision the new facility as a hub of student social and recreation activity. In fact, students felt so strongly about the project’s potential that they approved an increase in fees. Student representatives took part in design workshops, and their vision was carried through construction. As the architect of record, TSP developed space programs that significantly reduce scheduling conflicts between the Athletic Department and Intramural/Campus Recreation programs. 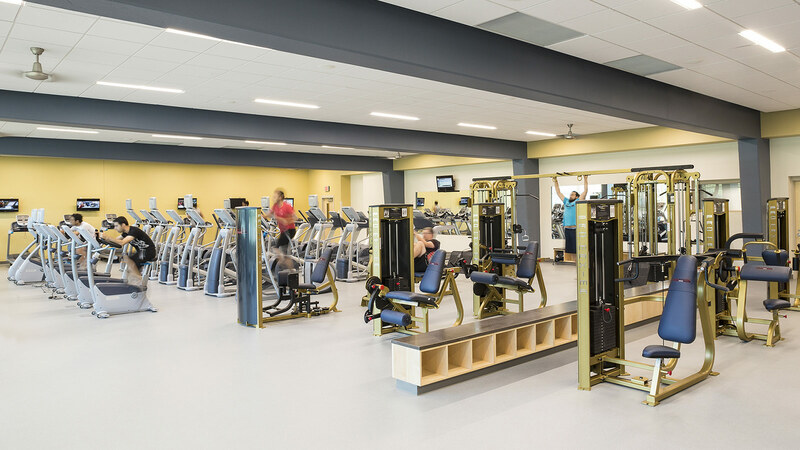 As a result of this work, the facility now includes two additional full-size basketball courts, two full-size volleyball courts, new weights/training areas, a group fitness studio, and new locker rooms for women and men. 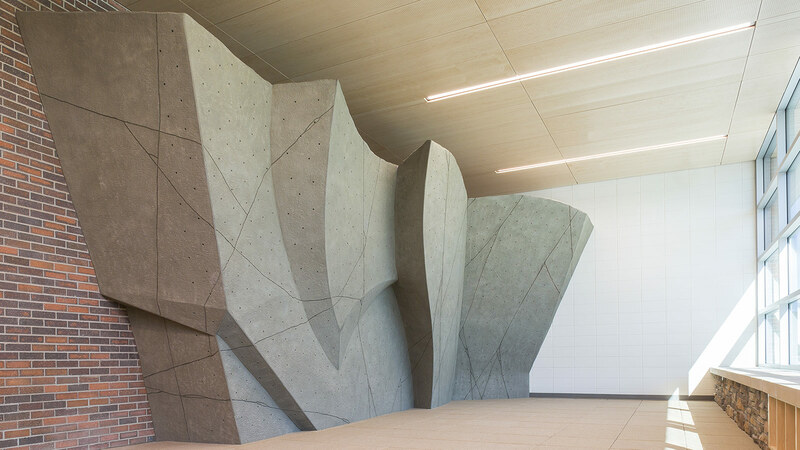 A bouldering wall with sweeping views of the surrounding Black Hills adds serious wow factor. 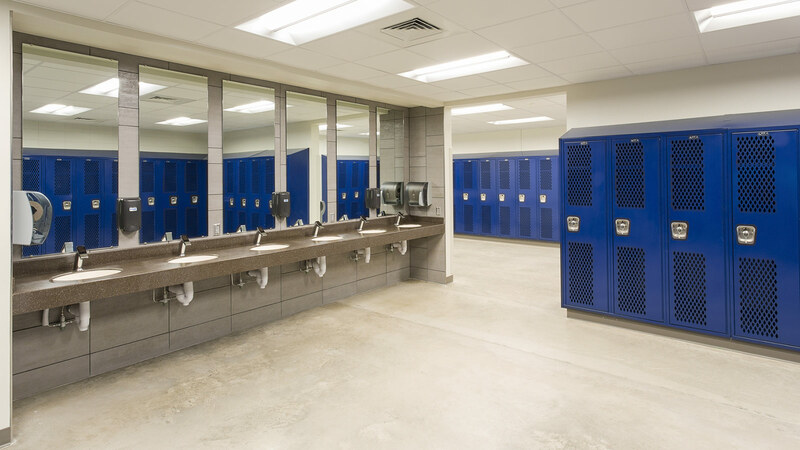 The project incorporates numerous sustainable strategies and is expected to attain LEED Silver certification. 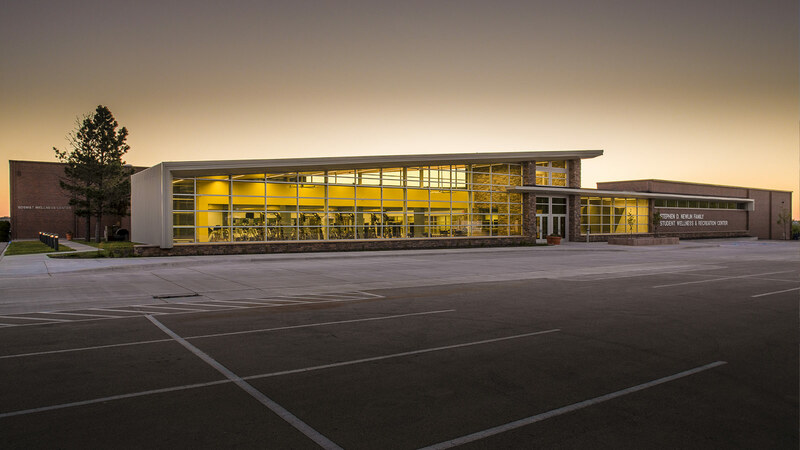 For example, insulated window glazing systems allow transparency looking in and out of the facility, while simultaneously supporting the building’s energy-efficient heating and cooling systems. An advanced electronic, photochromatic coating—the first of its kind in the state—reduces glare indoors by adjusting to the available sunlight. It also decreases heat load on the building’s highly efficient mechanical and electrical systems.